It boggles the mind that we don't have a dedicated thread for LA-based artist/muralist Michael Reeder already, so here it is. I know that we have some fans/collectors of his work here. I've been an admirer of his work since the first piece of his I saw at Thinkspace a couple of years ago. He is easily one of the most exciting artists in the scene today and this should help us keep tabs on his journey moving forward. Works currently in the EB database. 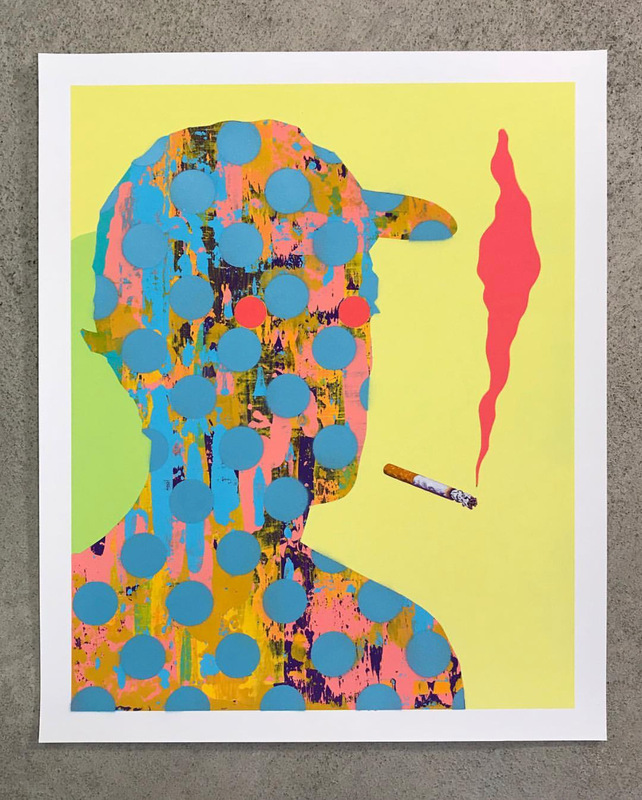 Fans of his work know this already, but seeing one of his pieces in person versus a 2D image on a computer screen are two completely different experiences, especially given the interplay of depth/space and various elements in his work. I would highly encourage you to check out his shows/pieces in person if you get the opportunity. Please feel free to share some of his pieces from your collection (video is encouraged!) or favorite images, as well as murals, projects, news, etc. Last edited by bulkhead72 on Fri Mar 30, 2018 8:03 pm, edited 2 times in total. One of my favorite artist. I have a smaller painting by him from his show last year at Cordesa and fell lucky to even have that given his popularity now. I'm going to try for a piece from the Thinkspace show but it will probably be super hard this time around since almost his shows are quick sell outs now. Fun piece from Cordesa! My wife and I had a great time at that show. There are a couple of pieces available from that show, including Gestalt Dreams, which is just massive in person at 6ft x 4ft. This is assuming that the gallery has updated the availability of the pieces on their site. I know that "Ride or Die" for example, was later sold via Thinkspace. Full list of pieces from that show here, for those interested. Hoping that mfaith can help us get those in the EB database. Yep, Cordesa needs to update the availability of those pieces. aibohphobia wrote: See you Saturday! Lord of the Land In-between is really great. Surprised that it’s still available. Has a lot of fun dimension-play going for it. My coverage of the mOMENt show can be found here. bulkhead72 wrote: My coverage of the mOMENt show can be found here. Awesome choice in your pick up. Love that piece. Remaining copies of “Epiphany I” go on sale on Friday 4/12 at 10am PST at Thinkspace Editions. Features hand sprayed/embellished blue polka dots. Roughly half the run size will be available for sale. 3 prints left in stock as of this writing. How'd the hand embellishments look in person? Did you get to see them at the show? EDIT: Also, last one y'all!